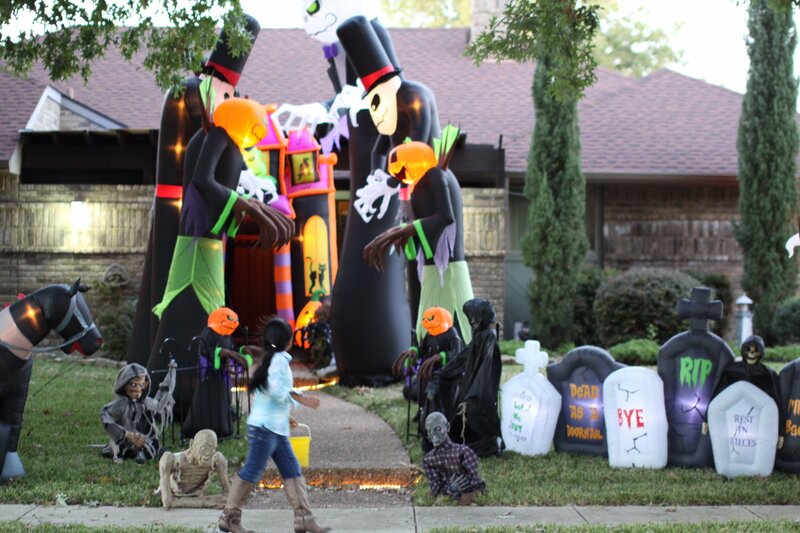 Halloween Decorations 2016 – Best Ever !! 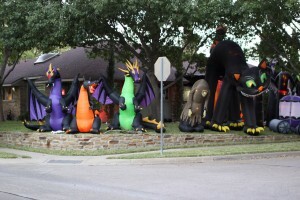 Every year, the residents of North College Park eagerly await the Halloween decorations that magically appear seemingly overnight at the corner of Kenshire and Briarcest. The owner of this display goes to great lengths to thrill the young Trick-or-Treaters in the neighborhood, (the dragons breathe fire!! ), but this year, he surprised everyone by appearing as Wolfman, hidden from view, in the cave of his courtyard. Children and parents were delighted to visit with him and thank him for the display. By the next morning, however, bright and early, the decorations had been returned to their slumber rooms, waiting until next year’s Halloween Eve. THANK YOU, Mr. Bearfield, for allowing everyone to view the most fantastic Halloween decorations ever !!! !